Want to receive e-mail updates for new podcasts? Create a free acount in 10 seconds or login to subscribe. 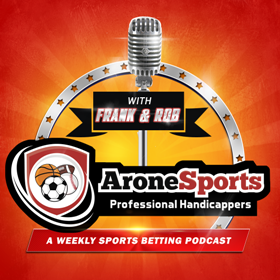 The AS NFL Conference Championship Podcast -- AS Picks of the Week: We had two more winners last week. Frank wins to move to 8-8-1 on the season. After a horrendous start by Rob, he climbed his way back to 7-9-1. This proves how important it is to look at short-term variance. Good luck this weekend!